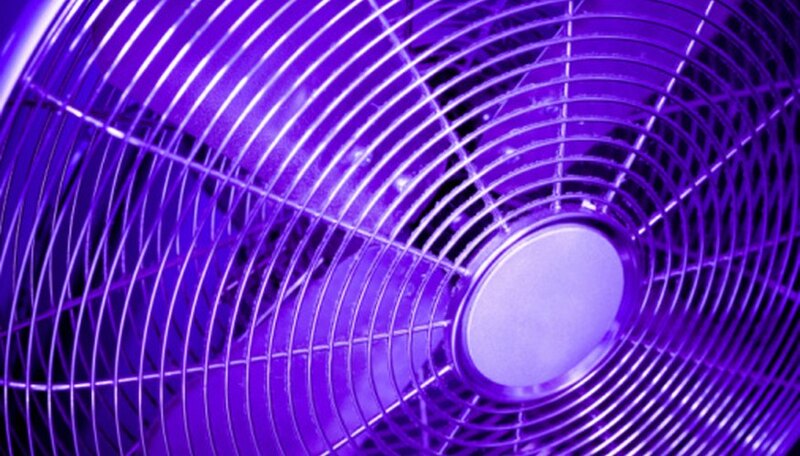 Engineers specify a fan's output in terms of the amount of air it displaces each minute. 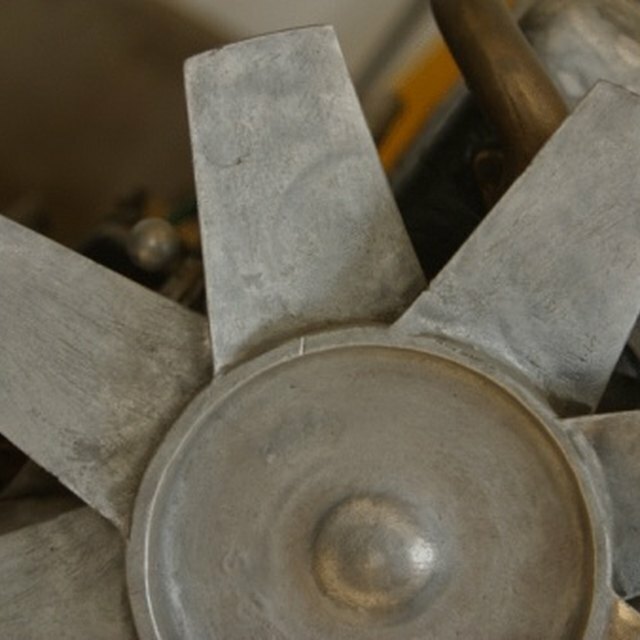 This measurement takes into account the speed of the wind that the fan produces and also the size of the fan's blades. The fan's output, the pressure it creates and the power it consumes all relate to one another. The manufacturer's documentation also likely directly lists the fan's power consumption, which will let you calculate its total output. Divide the fan's power consumption, measured in kilowatts, by 0.746 to convert it to horsepower. If, for instance, a fan consumes 4 kW: 4 / 0.746 = 5.36 horsepower. Multiply the result by the fan's efficiency. If the fan operates, for instance, at 80 percent efficiency: 5.36 x 0.80 = 4.29 horsepower. Multiply the result by 530, a conversion constant: 4.29 x 530 = 2,273. Divide this answer by the fan's total pressure, measured in feet of water. For instance, if the fan operates at 0.2 feet of water of pressure: 2,273 / 0.2 = 11,365. The fan's output is therefore approximately 11,500 cubic feet per minute. Menezes, Ryan. "How to Calculate Fan Output." Sciencing, https://sciencing.com/how-8086143-calculate-fan-output.html. 07 August 2017.